Each month, The Dynasty Guru will provide a prospect update that includes notable performances (good and bad), assignments, promotions, trades, injuries, and suspensions. Most importantly, the monthly update will examine prospects with increasing and decreasing fantasy value, from the elite to the obscure. Since the beginning of May, several notable prospects exceeded rookie limits and others arrived in the majors. As this update only reviews performances for one month, please note this bright, flashing warning: SMALL SAMPLE SIZE! TDG updated Top 200 Fantasy Prospects in early May. The next update will be on June 15th, including recent MLB draftees! 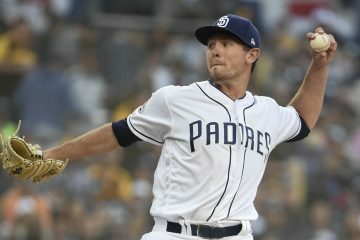 Since the publication of the 2018 Top 180 Fantasy Pitching Prospects, Part 1, Part 2, Part 3, and Part 4, over four months passed, including Spring Training and two months of games. As such, there is significant movement in the top 180. Shohei Ohtani, Los Angeles Angels. One of the most exciting players in baseball, Ohtani continues to impress on the mound and at the plate. As of June 5th, he is 12th in exit velocity and 13th in hard hit percentage. Meanwhile, he is third in average fastball velocity, his splitter generates an astounding 27.8% whiffs, and his slider is also plus. Further, ESPN’s Player Rater ranks him 16th! Nevertheless, his value remains strikingly different between daily (sky-high) and weekly leagues (weekly lineup dilemma). He is a top-20 dynasty asset. Walker Buehler, Los Angeles Dodgers. 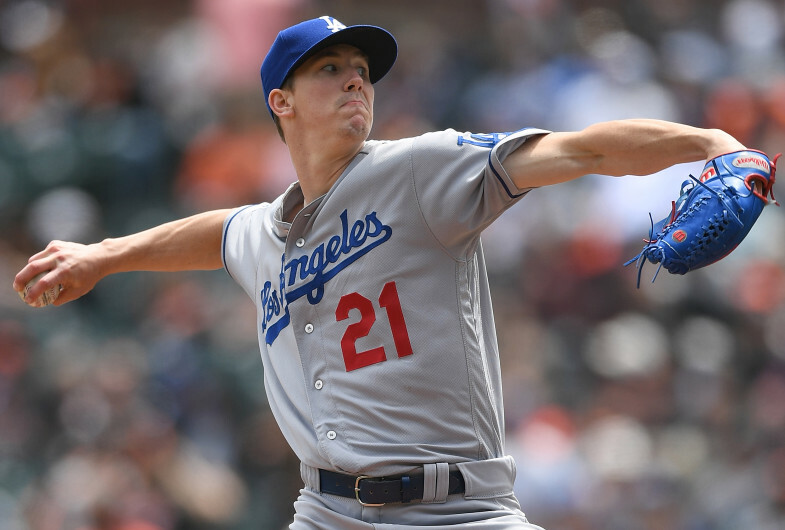 As Clayton Kershaw begins his fall from grace, Buehler is emerging as a legitimate ace. His repertoire is deep and elite, including a four- and two-seam fastball, a cutter, a slider, a curveball, and a changeup. In May, Buehler was superb, allowing just 18 hits (.165 BAA) and 5 walks while striking out 37 in 31 innings. He is a top-20 dynasty starting pitcher. Jack Flaherty, St. Louis Cardinals. With Adam Wainwright out until mid-July, Flaherty entrenched himself in the starting rotation. Relying on a lethal slider (22.6% whiffs) and excellent command, he makes the most of his slightly above-average repertoire. He is a top-50 dynasty starting pitcher. Fernando Romero, Minnesota Twins. Over his first five major league starts, Romero was tremendous (1.88/1.12 ERA/WHIP with 29 strikeouts in 28 2/3 innings). Unfortunately, his final May start was a stinker, allowing 10 of 15 batters to reach base. Chiefly, Romero is a two-pitch pitcher, with a blazing mid-90s fastball and a hard, upper-80s slider. In addition, he mixes in a below-average, firm, low-90s changeup. With two plus pitches and shaky command, Romero has a relief profile, but he could be a solid, but inconsistent, starter. Dennis Santana, Los Angeles Dodgers. After a strong performance across Double- and Triple-A (2.54/1.05 ERA/WHIP with 65 K in 49 2/3 IP), Santana earned a major league promotion. 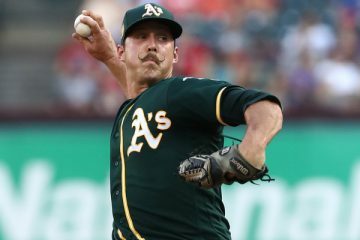 With a low-to-mid-90s, two-seam fastball, a nasty slider, and a solid changeup, he has the makings of a potential mid-rotation starter. Nick Kingham, Pittsburgh Pirates. After missing time in 2015 and 2016 due to Tommy John surgery, Kingham finally debuted in the majors at 26 years old. Despite his advanced age, he remains a legit prospect, with a low-to-mid-90s fastball, three solid secondaries, and good command. Seranthony Dominguez, Philadelphia Phillies. This year, the Phillies transitioned Dominguez to a multi-inning relief role, akin to Josh Hader. It appears to be the right decision. In 30 1/3 innings across all levels, he has allowed just 10 hits, 3 walks, and 3 earned runs! With a huge, 98 mph fastball, plus slider, and improved command, Dominguez could soon receive late-inning opportunities. Alex Reyes, St. Louis Cardinals. By lasting just four innings in his return from Tommy John surgery, Reyes barely retains rookie eligibility with fifty innings-pitched. Unfortunately, he also landed back on the disabled list with a strained right lat. Prior to yet another injury, Reyes had thrown 27 scoreless innings with 46 strikeouts across 5 levels. In his lone major league start, he exhibited his usual electric, four-pitch repertoire, including a mid-to-upper-90s fastball. Mike Soroka, Atlanta Braves. Sidelined since mid-May with a right shoulder strain, Soroka is now on a rehab assignment. His repertoire is safely above-average and, when paired with his excellent command and pitchability, elevates him to a potential 2- or 3-starter. Joey Lucchesi, San Diego Padres. Another two-pitch pitcher, Lucchesi employs deception and an odd, but effective, “churve” to find success. Like Soroka, Lucchesi has been on the disabled list since mid-May, with a right hip strain. Chris Paddack, San Diego Padres. In late April, Paddack made his first start following Tommy John surgery. Prior to his injury in 2016, he was breaking out in Low-A (0.85/0.59 ERA/WHIP with 71/5 K/BB in 42 1/3 IP). In his first six starts this year, Paddack has been sensational, with a 51-to-2 strikeout-to-walk ratio in 31 2/3 innings. Most importantly, his command and repertoire, including a low-to-mid-90s fastball, double-plus changeup, and developing breaking ball, look outstanding. With continued health and performance, Paddack likely will debut highly in the top 200 in June. Jonathan Hernandez, Texas Rangers. This year, few pitchers have been more dominant than Hernandez. In May, he breezed through High-A (1.69/0.78 ERA/WHIP with 45/9 K/BB in 32 IP), closing the month with an 8-inning gem. Further, his repertoire supports his performance, as he boasts a mid-90s fastball with life, a sharp slider, and a solid changeup. Pablo Lopez, Miami Marlins. Speaking of dominance, Lopez has allowed just three earned runs all year in Double-A. Like Hernandez, he has a strong repertoire, including a low-to-mid-90s FB (T97) and two average to above-average off-speed pitches (slider and changeup). Meanwhile, Lopez also possesses excellent command. On the 40-man roster, he likely will debut this year and profiles as a 4-starter. Jose Suarez, Los Angeles Angels. A small (5’10”) and stocky, left-handed pitcher, Suarez has moved from High-A to Triple-A over just two months, tallying 75 strikeouts in 47 1/3 innings. Notably, his stuff improved this year, with more velocity, a developing breaking ball, and a plus changeup. Michael Baumann, Baltimore Orioles. With a sturdy, 6’4″ frame, Baumann is a potential workhorse. Thus far, he has found little resistance in Low- and High-A, sporting a minuscule 1.43 ERA across 10 starts. Brendan McKay, Tampa Bay Rays. A man among boys in A-ball, McKay is untouchable on the mound. Over 41 2/3 innings, he has allowed just 21 base runners (17 hits, 3 walks, 1 hit batter), while striking out 59! With outstanding command of an above-average arsenal, McKay may have a more advanced arm than bat. Shane Bieber, Cleveland Indians. Impersonating Greg Maddux all year (1.10/0.70 ERA/WHIP with 61/3 K/BB in 65 1/3 IP), Bieber finally debuted for the Indians on May 31st. Despite a rough debut, he showcased excellent stuff, including a low-to-mid-90s fastball (touched 95 mph) and two swing-and-miss breaking balls (slider and curveball). Griffin Canning, Los Angeles Angels. Unhittable this year, Canning limited Double-A hitters to just 6 hits (.098 BAA) in 18 1/3 innings in May. Although his command remains a work-in-progress, he looks exceptional. Notably, the Angels continue to monitor and limit his innings following his injury issues last year. Jaime Barria, Los Angeles Angels. As the sixth starter in a six-man rotation, Barria has enjoyed a lot of travel between Triple-A and the majors this year. For the Angels, he has surprised, with a shiny 1.84/0.95 ERA/WHIP over his last 5 starts. Since he possesses a below-average fastball, Barria heavily relies upon his slider and changeup. In fact, his slider is confounding hitters, and he leads the league in swings outside the zone (37.4%). MacKenzie Gore, San Diego Padres. After briefly returning from the disabled list for two poor starts in early May, Gore is heading back to the disabled list with a recurring blister issue. Nate Pearson, Toronto Blue Jays. After missing the first month with a back injury, Pearson allowed 5 hits in just 1 2/3 innings in his season debut. Unfortunately, one of those hits hit his forearm, fracturing the ulna bone. The Blue Jays will re-evaluate Pearson in 4-6 weeks. Tyler Beede, San Francisco Giants. Command and control has escaped Beede this year, and especially of late. In May, he walked 19 batters in 22 1/3 innings, and has walked 46 (17.1%) in 57 2/3 innings on the year. Freicer Perez, New York Yankees. In two May starts, Perez allowed 8 hits and 8 walks in just 7 2/3 innings. Now, he is on the disabled list with an undisclosed injury. Jose Albertos, Chicago Cubs. You may have thought things could not get worse for Albertos after his disastrous April. You thought wrong. In May, the Cubs moved him to the bullpen, where he issued 18 walks in 7 1/3 innings! James Kaprielian suffered a set back (shoulder soreness) in his recovery from Tommy John surgery. Seth Romero is still in timeout. Trevor Rogers and Jacob Nix debuted in late May. Please feel free to post comments, questions, or your own observations! Jesse is an attorney, currently residing in Greensboro. An avid fantasy baseball player, Jesse has experience in a diverse range of leagues, including head-to-head, rotisserie, points, and simulation. Jesse is a four-time website-wide champion at Benchwarmer Baseball and a repeat champion of a dynasty league with John Sickels at Minor League Ball. With a specific interest in baseball prospects, Jesse plans to provide in-depth analysis of up-and-coming stars accessible to all league sizes and types. 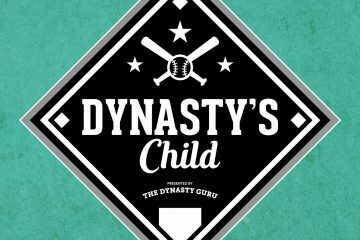 Dynasty’s Child Episode 70: The Top Podspect is back BAY BAY! are you concerned about Kolby Allard’s lower SO/9? The inability to miss bats is a problem in the majors, but many pitchers still find success with low strikeout totals. Further, despite few strikeouts, he is eliciting plenty of swinging strikes (10.5%), more than last year (9%). It also depends on how you view him. I see Allard as a high-floor 3- or 4-starter with strong ratios and command, but less strikeouts. He is not elite, but he is solid, reliable (health willing), and eats up innings. Alex Reyes underwent surgery to repair a torn tendon in his right lat muscle on Wednesday. According to Mark Saxon of The Athletic, recovery time on Reyes’s surgery is typically six months. His season is over.